When decorating budgets are tight, other rooms take priority, and the master bedroom might not receive the attention it deserves. However, a lovely master bedroom can be a romantic retreat where you can enjoy some private moments and spend time away from the mainstream activity of the household. You can see from the "Before" photographs that our newly acquired home was a prime candidate for a bedroom makeover. While the room is spacious and bright, there were so many problems that needed to be addressed. Listing the pros and cons of the room was helpful in determining the specific needs and planning the budget and the work schedule. A beautiful arched window lets in a lot of light. Walls were solid with no damage. 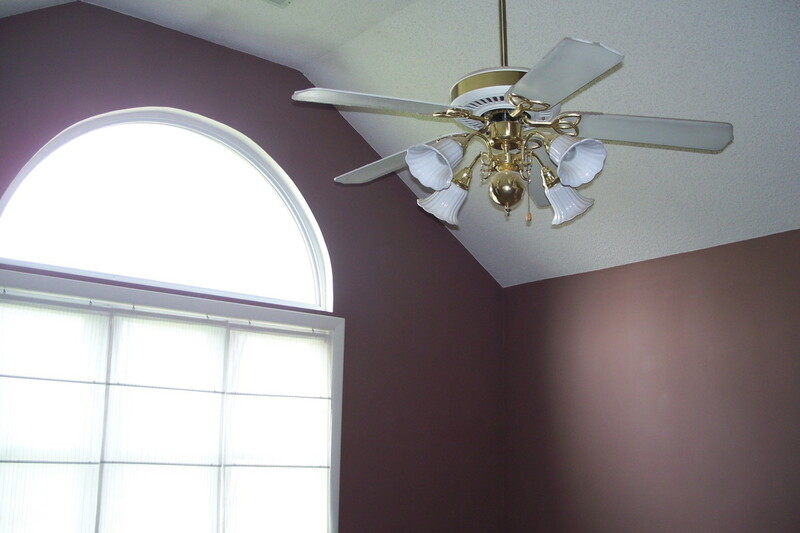 There was a nice ceiling fan and light fixture in the room. There were two closets, a large walk-in closet and a shallower double closet for my husband. The sliding mirrored doors on one of the closets were damaged and needed replacement. Although the room is large, the big triple window on one wall and 4 doors in the room left little wall space for furniture. The walls were painted a dark red brown that seemed depressing! My vision for the bedroom was to turn it into a romantic retreat that could also be used for reading or conversation. TV in the bedroom has always been banned. Light colors followed the theme throughout the house. 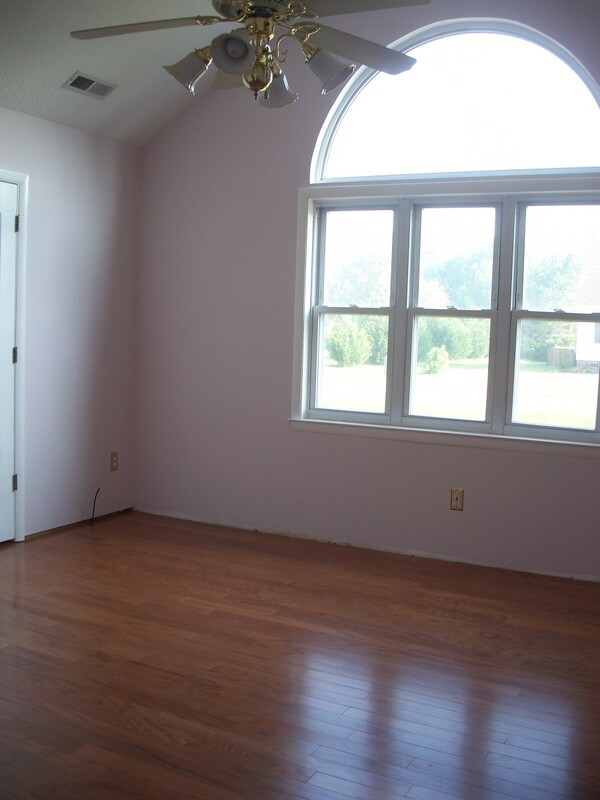 Avoiding a décor that was overly masculine or feminine, we chose a light lavender for the walls and white for all the woodwork. With budget in mind, we chose to decorate with paintings and burgundy accents that we already owned. New furniture was not in the budget. Since new furniture was not in the budget, we chose furniture we already owned to furnish the bedroom. There is a large walk-in closet, and I moved my dresser into it to make the bedroom feel more spacious and allow plenty of room for a cozy seating area. My favorite pink lazy boy recliner fit in perfectly, and my husband’s grandfather’s rocking chair added a finishing touch. A cute round wooden table and thrift store lamp completed a sitting area. White mini blinds on the windows gave privacy while inexpensive semi-sheer curtains in white and burgundy added softness to the window. The mirrored glass doors on the double closet were replaced with white vinyl louvered doors. All of the woodwork was painted with a satin-finish enamel. Because wall space was limited, a double dresser was moved into the walk-in closet leaving room to spare for hanging clothes. By installing a set of shelves at one end of the shallower double closet and placing a plastic drawer section at the other end, we eliminated the need for dressers in the bedroom and were able to keep the spacious look that we loved. The limited wall space in the room would be used for bookcases painted to match the woodwork rather than dressers. Remove Unwanted Items from Room. The first order of business was to remove all of the carpeting and the padding under it. The glass closet doors were removed. All of the baseboards were removed to another room where they could be painted. Complete Painting From the Top Down. Painting had to be complete before we started on the floor. We decided to work from the top down, so the ceiling was painted first, then all of the walls were given a coat of white primer. 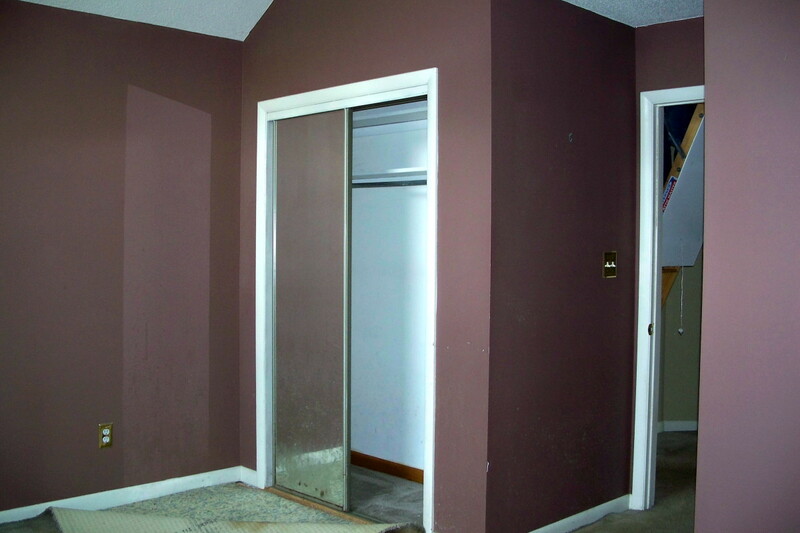 The dark color of the existing walls were not so easily covered, and needed 2 additional coats of the final color. Because there are cathedral ceilings in the bedroom, it was especially difficult to paint. We purchased a paint applicator (Homeright EZ-Twist 5 piece Paint applicator kit -$28.97) with a long handle which made the job a lot easier. The handle could be filled with 18 oz. of paint at a time and eliminated much of the work of getting on and off the ladder to refill a roller. 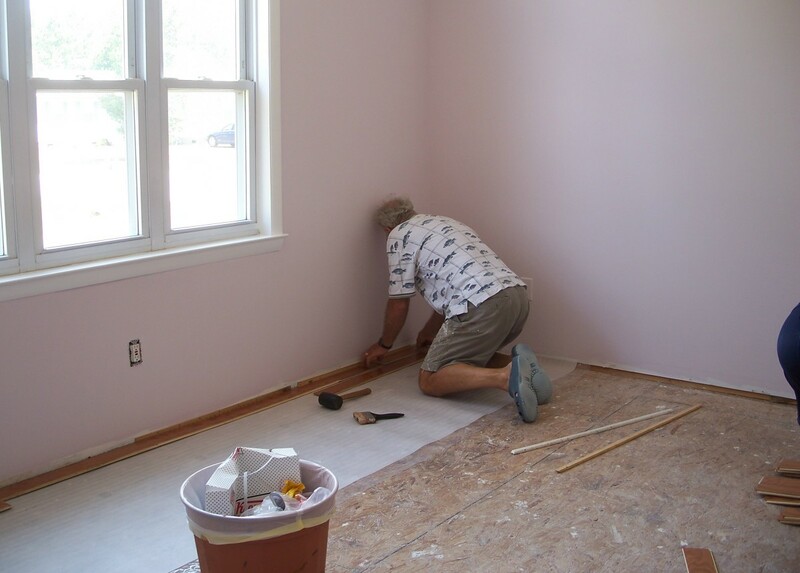 Baseboards were taken to another room where they were placed flat on sawhorses and painted with rollers. We also removed other doors and placed them on sawhorses where they could be painted while flat. This made paint application smoother and easier and eliminated drips. Once the rug and padding was removed, we found that the floor had hundreds of staples in it that had to be removed. After this was done, a sub floor of luan was laid down to even out the floor, then a barrier of foam sheeting was put down. Because new items were purchased at discount stores, and we did all of the work ourselves, there aren't too many ways we could have redecorated this room on less money. The one major expense was the new laminate wood flooring. We could have kept the old rugs and hired a professional cleaning service to clean them, but decided to splurge on new flooring. The end result was well worth the cost. By raiding other rooms and storage areas, we added some handmade afghans, throw pillows, candles and paintings that complemented the décor without having to go on a shopping spree. Create a romantic refuge in your bedroom by following some simple rules for a romantic bedroom makeover. Your bedroom doesn’t have to be all hearts and flowers to make you feel pampered and relaxed and in the mood for romance. In fact, the perfect bedroom décor for a couple should not be either too feminine nor too masculine, but a comfortable in-between. Wall color. Warm beige or soft pinks will put you in the mood for romance. Avoid very strong colors. Clutter. Get rid of clutter by stashing it in covered baskets, under-the-bed storage containers or in closets. Bedside table items can be contained on a small tray. Electronic devices. No TVs, computers or exercise equipment allowed in a romantic bedroom. These items are distracting and will interfere with good rest as well as intimacy in the bedroom. Unless it plays soft music, keep electronics out of your bedroom. Photographs. Keep some photographs of you sharing happy moments as a couple, but move the pictures of the kids and other family members to another room. This is a private place for just the two of you – no visitors allowed! Mirrors. Mirrors can be placed to reflect soft lighting, but should not face the bed as they upset the harmony of the room. Paintings and wall décor. Paintings are o.k. if they are upbeat. They should not depict sad or violent scenes, nor should they be in very dark colors. Keep the voodoo masks and hunting scenes in the den! Lighting. Lights with dimmer switches will enable you to go from bright to romantic at the touch of a button. Lightly scented candles will add ambiance. Luxury. Add a few luxurious touches like high thread count sheets, down pillows, scented candles, fresh flowers or soft music. Decorating a romantic master bedroom can fit into even a small budget with some careful planning. 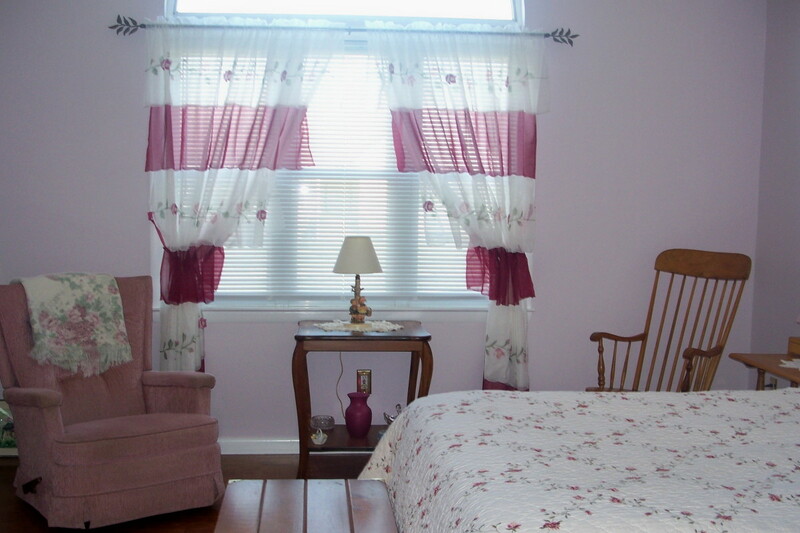 It is surprising what a fresh coat of paint and new window treatments will add to a room. Be sure to take advantage of things you already have to add some finishing touches. Scented candles, pretty lamps, pillows and soft throws will add a feeling of comfort and luxury to your room. I hope this has given you some ideas for your own redecorating project. Do enjoy your redecorated romantic bedroom! Prairieprincess - Thanks for stopping by! Even after a couple of years, I still enjoy our renovated bedroom and have only added a few new touches like a pretty Tiffany style lamp from a yard sale and a recent painting of mine featuring dusty pink roses. Even if you don't do major remodeling, adding some little extra touches will freshen the décor. I love your tips for a romantic bedroom ... just for the two of you! Our bedroom is not quite there yet, but you have given me some wonderful inspiration. Thelma Alberts - It was a fun project, and I still enjoy the room and the colors. Thank you for stopping in to read and comment! Beautiful! I can relate to the hard work that you did. Well done! Thanks for sharing. DDE - Thank you! It was fun to do and didn't cost a lot. I do enjoy the colors. A most beautiful idea for a romantic bedroom, looks fantastic! Victoria Lynn - Sometimes just rearranging furniture and adding new curtains or linens will give your room a new look without major work. I've also found that regular decluttering makes my room look fresher and "happier" as I have a tendency to add new objects to my bookcases and table tops until they are crowded. Thanks for stopping in to read a comment. Have fun with your redecorating project. Impressive! Looks great! I'm working on making my bedroom neater and am moving some things around. While I'm not doing a major makeover, I am inspired by your hub to make my bedroom look its best! Great job! Melovy - Thanks for your comments on my bedroom makeover. The floor was the hardest and most expensive part, but I am very pleased with it as it's easy to care for and the wood adds warmth to the room. Glad you like it. Such a beautiful room Stephanie. I love the colour combination, and the wooden floor. You did a great job. 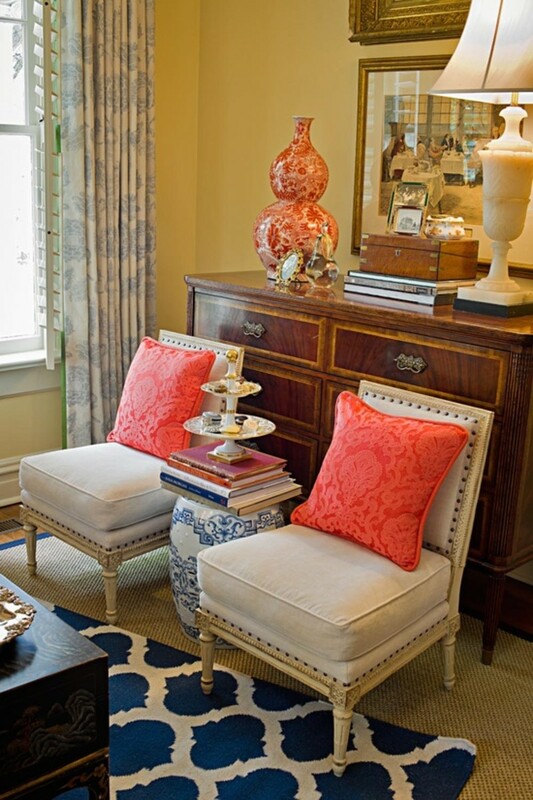 Carol7777 - I always loved white walls, but now I find that adding some color personalizes a room and adds character. Paint is an inexpensive way to change a room and give it a new look and feel. And the best thing is, you can change it again whenever you have the urge for a new look! Thanks for stopping in to comment! Lots of good ideas here and not expensive. A very thorough job. I keep wanting to paint the bedroom...White walls are really boring. Voting up and pinning. Greencha - Whether you live alone or share your bedroom,a relaxing and beautiful bedroom will be a lovely retreat for reading or resting. Perhaps it will inspire your pet bird, too! Thanks for stopping in to read and comment! Nyamache - I do enjoy our master bedroom since we've redecorated it. Glad you liked it, too. Thank you for your comments! Remaniki - I do love our bedroom now that we've brightened it with lighter colors and new flooring. 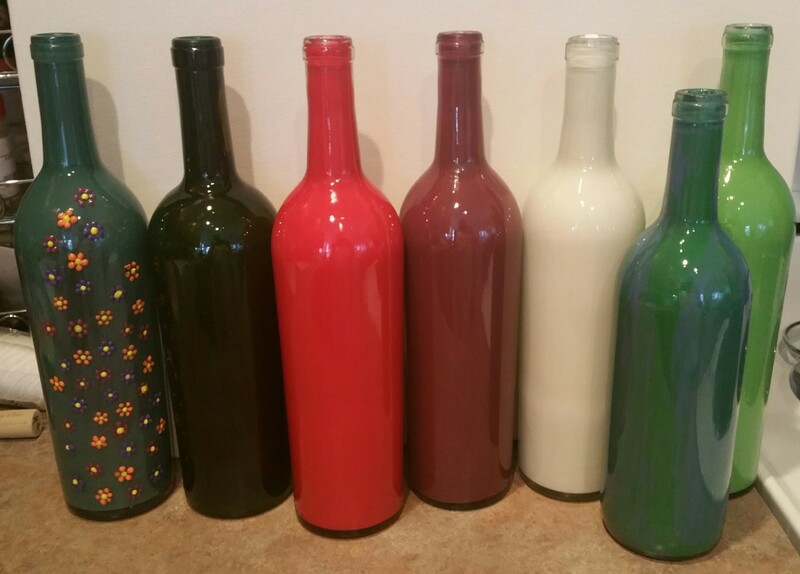 It's amazing what some paint and creativity can do. Thank you for your kind comments and thanks for the share! Sunshine - Haha... Just have your projects lined up next time we're down your way - I'm sure Bill would be happy to paint and redecorate for you as much as he likes doing it around here. :) But I get first dibs...we've been going to paint our bathroom "next week" for a 10 months now! I'm greatly impressed by this. A master bedroom that is well decorated can be a place to relax and find a peace of mind despite it being a place for romantic retreat. Good work! WOW! What a great job! Wonderful hub on a doable DIY project. Truly a romantic setting for a bedroom! The lavender-white combination is beautiful. Thanks for sharing this great hub. I am sharing it too. Cheers, Rema. Thank you , Nell Rose! We are enjoying the new, brighter look of our bedroom. It's always fun to redecorate, isn't it? What a great job you did, and it looks great! we have been decorating too, so any tips are very much appreciated! lol! Moonlake - I really like this comforter, and sometimes use the reverse side which is a solid cream color. I believe it might come in some other colors, too. It's cotton and washes well. Thanks for visiting and sharing! Enjoyed your hub and the decorating of the bedroom. I have been eyeing up that comforter at Wal-Mart. Our room is red so I thought it would look nice. Your room looks very pretty. Voted up and shared. Millionaire Tips - We have a cat who sheds constantly, and the cat hair is easy to clean off the wood floor. 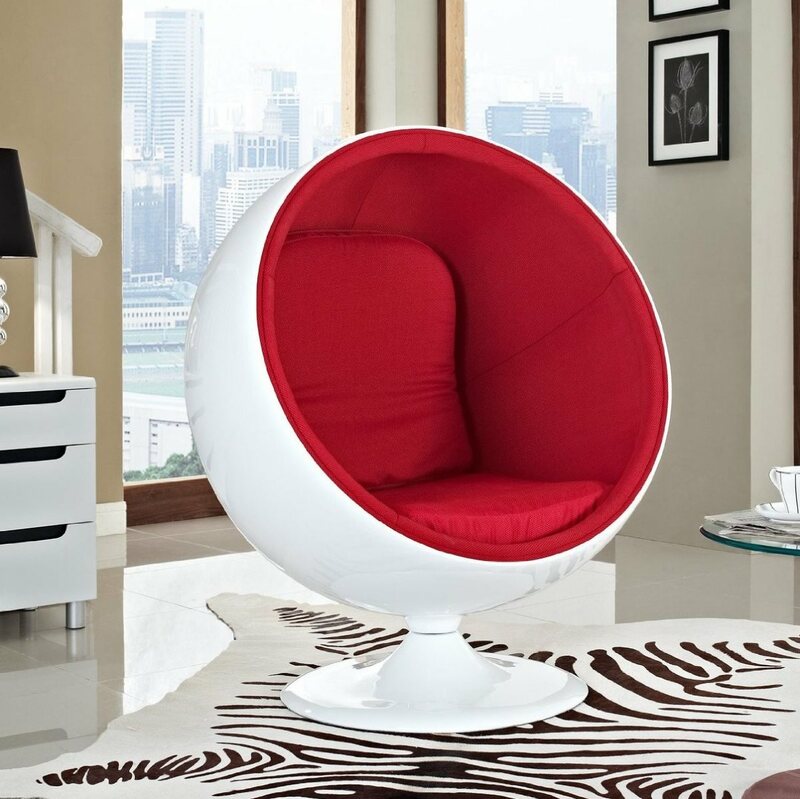 I think one of the best tricks for frugal redecorating is to repurpose items from other rooms to give the room a new look without spending a lot of money. 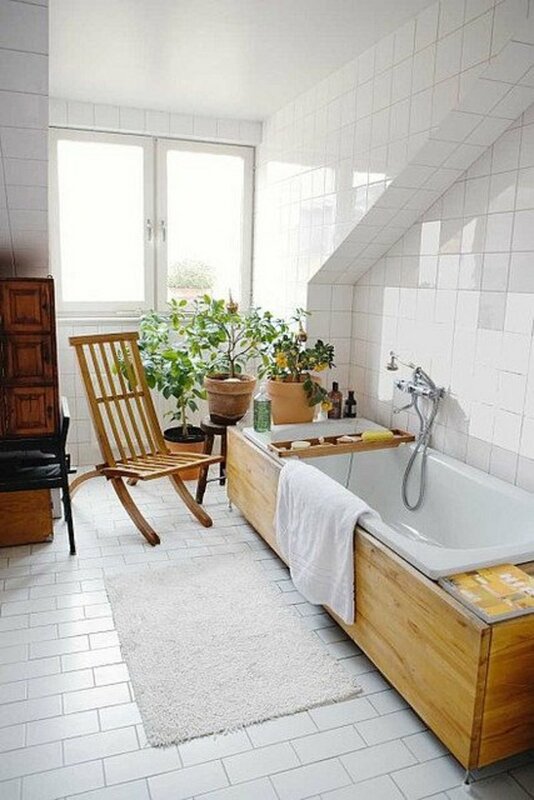 Have fun with your remodeling project! You've done a great job with your bedroom. It looks very nice and inviting. The wood floors will also make it easy to clean and keep the allergens at bay. 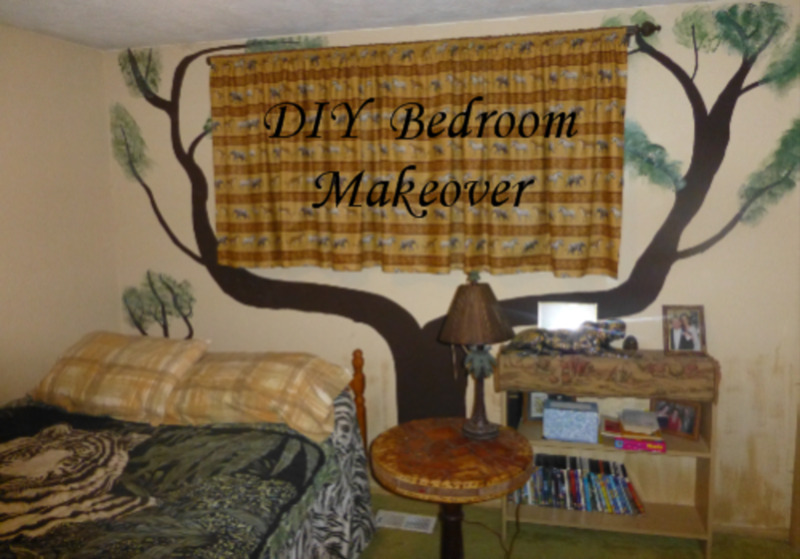 I am working on remodeling the bedroom now, and your money saving ideas will come in handy! Sharyn's Slant - Thank you! I do love nicely finished wood floors, and find them easy to keep clean and nice looking. I do like some area rugs in the rooms, though, as they add a feeling of coziness and warmth. If you have nice wood under your rugs, go for it! 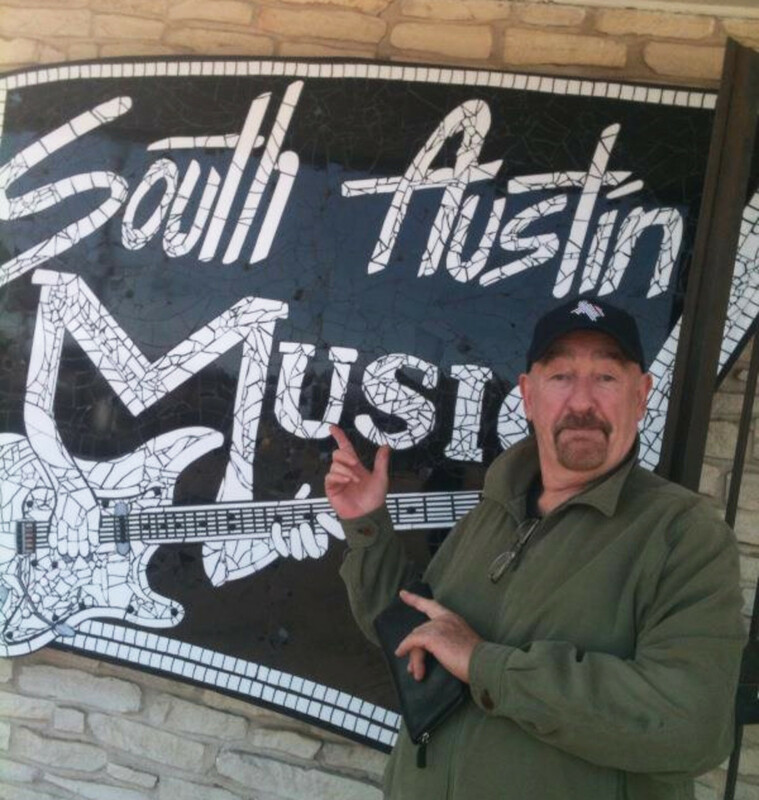 Thanks for stopping in and for your comments! Your new room is beautiful Steph! I have really been thinking of pulling up living room carpeting and refinishing the nice wood floors underneath. You've got me thinking about it again. And I love "television is a no no in the bedroom." I do not have one in my bedroom either. Great hub! Maren Morgan M-T - When doing renovations, you just never know what you'll find under that top layer! The staples took forever to remove as we also replaced rugs throughout the house with the wood flooring. I was glad to have the help of my grandson for that job! Jackie Lynnley - I've often had lavender and/or purple in my decorating schemes, and still love using those colors either alone or in combination with white, browns or reds. 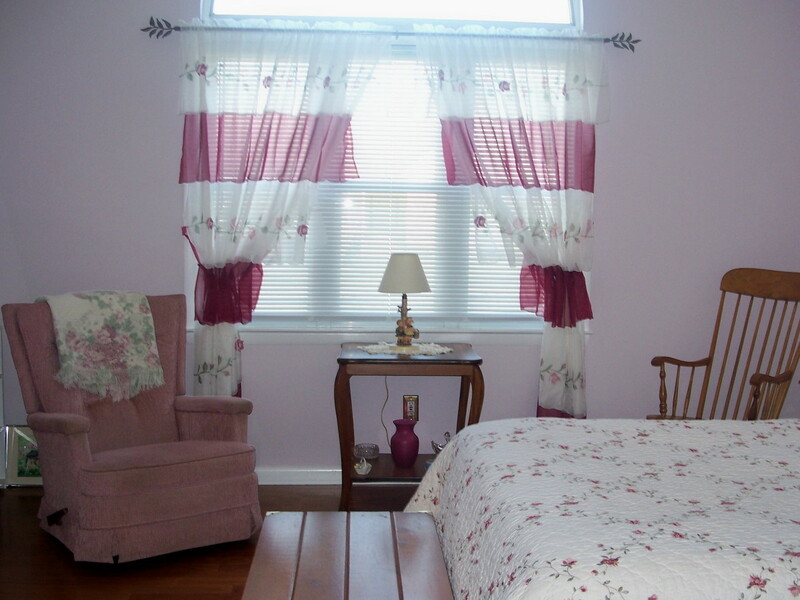 Your lavender bedroom with white chenille sounds lovely! Lovedoctor926 - I like your idea of using leopard pillows with your burgundy comforter. Animal prints do add an exotic touch to a room! Actually, our wood floors are very easy to keep clean and shiny - just vacuum and go over with a dust mop and special spray to keep it all looking shiny and new. I love your ideas for redecorating the master bedroom. Lovely picture you of the painting wall & woodwork. Wooden floors are very nice and hard to clean too. A romantic and cozy atmosphere with nice candles and soft music is a plus. I just added the burgundy curtains to my room. It looks really nice. Then, I have the burgundy sheets & comforter and some leopard pillows for that extra touch. I use a lot of feng shui tips so I know what you mean as far as mirrors. Voting up! Sharkye11 - I will say that the lavender leans towards pink, but it did work well with the burgundy accents. Yes, those voodoo masks might make me a tad restless if they were looking at me while I sleep! Thanks for the read and the share! Janine Huldie - Thanks for stopping by to read and comment. Redecorating the master bedroom is a fun project - it's something special just for you and your partner. I'm planning to add a few more finishing touches, but, for now it makes me happy. Great hub! Really enjoyed the photos of before, after and in progress. I would have never thought of using lavender and burgundy together, but really harmonized quite well! Love your advice about the voodoo masks....I am actually guilty of having one in the bedroom! *sheepish grin* Maybe I will relocate it to the bathroom. We just did our Master Bedroom over, too and you gave some really great tips here Stephanie all in one place. Thanks for sharing!! Thanks, Bill! It was rather a disaster when we bought the house, but we both love the light bright look of the room now. Great job on that room, Stephanie. I am greatly impressed!